Give your wedding band that added sentimental value to commemorate the occasion. At Love Fine Diamonds we offer an in house complimentary engraving service on all wedding bands to your specification. To help you bring your rings back to showroom standard at Love Fine Diamonds we offer a lifetime complimentary polishing service and inspection. This flat soft edge ring was designed for the ultimate comfort; an unobtrusive design with a contemporary style. All our rings are handcrafted in our Hatton Garden studio. We are able to produce your ring in your favourite metal choice. 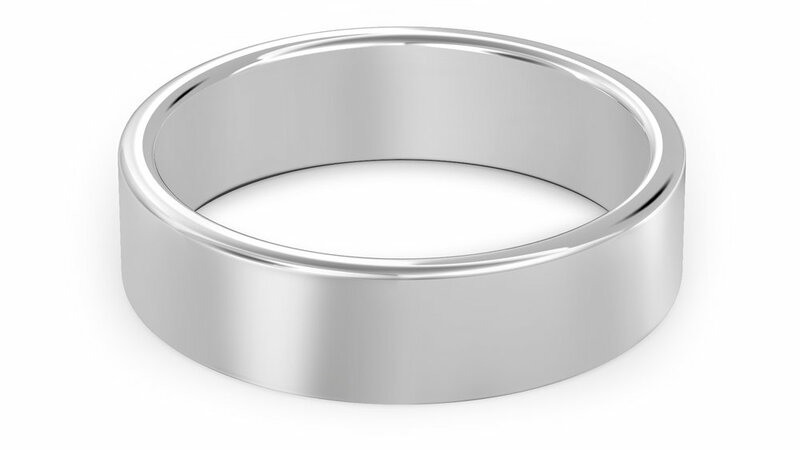 Our flat soft edge wedding bands typically come in 2mm, 2.5mm, 3mm, 4mm, 5mm & 6mm widths and are made to order based on your ring size and width preference. Our designs can be customised to your preference.